As you may or may not know, our luxury park homes allow up 2 dogs and 1 cat per home! This is fantastic news if you already have pets or were looking to take on one. Unlike most other parks, we allow pets because we know how beneficial they are to those in their golden years. Here are our thoughts on some of the benefits of owning a pet during retirement. As we all know, pets are great for keeping you company. We also understand that a lot of our customers are coming from a place where they might not have felt very involved with the local area. You might have just lost a spouse and are looking for a new, vibrant community to be part of. So, whilst you get accustomed to your new life and surroundings, pets can offer you the companionship you need. Dogs, in particular, need lots of exercise and so having one will encourage you to get up and go each day. This is beneficial for both you and the dog, and you’ll reap the benefits of improved fitness for many years. Even if you only have a cat, you still need to play with them and tidy up after them! Retirement can be a time of great displacement for many. You spend your whole life working, sticking to a daily routine, and then once retirement comes, you lose all of that. Of course, retirement is still something to look forward to, but the lack of structure in your day can lead many to feel a bit lost. Pets help to combat this by providing something for you to care for. They need feeding at certain times, cleaning up at certain times, and you need to make sure that they are happy and well at all times. In short, they need you. Just like new mums can head to a ‘mum and baby’ meetup to chat with other new parents, dog owners can go to walking areas or parks to meet other dog owners. You could even join a local breed-specific group. That way, you can meet people who are likely to have even more in common with you. After all, what made you pick your dog’s breed might be exactly what made others pick theirs, too. Perhaps the simplest and most understandable reason for owning a pet is that they make us happy. Even looking at a cute dog or cat can light up a spark of happiness within us. However, an extra plus of this is that your happiness will release more endorphins, therefore reducing stress. Less stress means a lower chance of stress-related illnesses that are usually caused by high blood pressure. Did you know any of these benefits of owning a pet during retirement? We hope this blog gave you some more information on how having a pet can add to your retirement greatly. 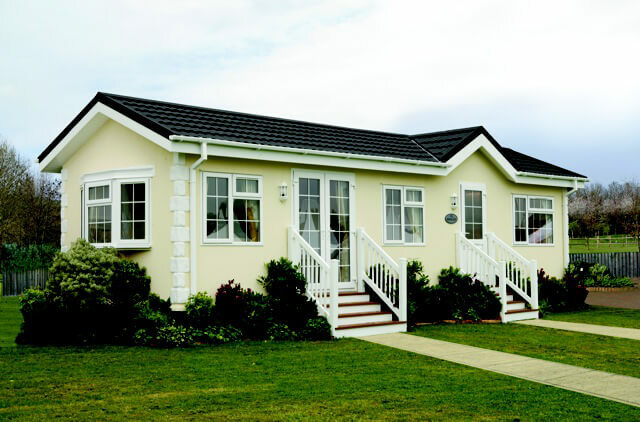 And if you’re looking for a pet-friendly retirement village to settle down in, then Riverside Park in Cheshire could be ideal for you. Check out our selection of 8 brand new park homes available that sit right on the edge of the scenic River Weaver. If you are thinking of changing your lifestyle and are 50+ with no children, we highly recommend that you put your name down for one of the new homes that will be on the park once the improvements have been done. I bought my new home in March 2007. I chose Delamere Grove partly because of the unusual layout of the park, e.g. with every plot being different. 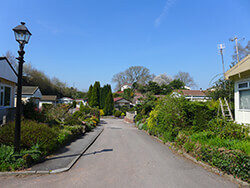 As residents of Delamere Grove Park we find this a very pleasant place to live. Being in a rural area of Cheshire it has much to offer. Olympic Park Homes are proud to work with Park Home Assist - Specialists in park home insurance. Visit www.parkhomeassist.co.uk for more information.